The English language has a reputation of being a really hard language to learn among language learners. There are many things that make the English language confusing from its many contradictions to its numerous exceptions to rules. However, many people still manage to adopt English as their second language much more quickly than an English speaker adopts another language as a second language. One of the most confusing aspects of the English language is its spelling, don’t you agree? Perhaps this is why contests such as the ‘Spelling Bee’ have become an inherent part of the English speaking world. For those of you who don’t know, the spelling bee competition first originated in the United States and is a competition where contestants are invited to spell words varying in difficulty. The fact that this type of competition exists is sheer proof that English spelling is challenging and if you’re good at spelling then you deserve to be praised. Spelling is an important aspect of communication and it often reflect your level of education. The better your spelling is, the smoother your written communication will be. But, what actually makes English spelling so confusing? Below are the three main reasons behind the chaos that English spelling is. Ideographic languages like Chinese represent meaning rather than sound so spelling isn’t confusing. Latin based languages like Spanish are more phonetic meaning that words are spelt exactly the way they sound. However, English is none of the above because when spoken has around 44 different sounds but written English only has the 26 letters in the alphabet to represent these sounds. This means that in English one single letter could have several different pronunciations making it impossible to know how a word is pronounced just from its spelling. 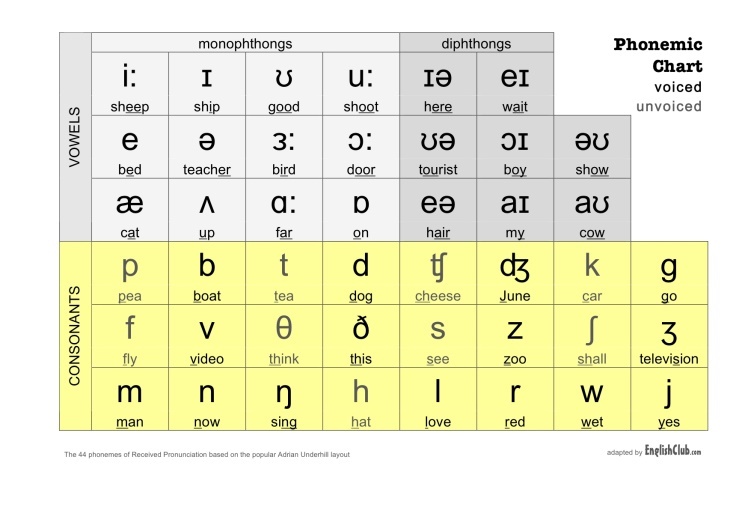 The phonetic chart will haunt you constantly from the moment you start learning English. History is probably one of the biggest influences on the spelling of the English language. The English language has a rich history behind it adding to its complexity. For instance when the French invaded England in the Norman conquest many of the English were replaced with aspects of the French language. We adopted the ‘qu’, ‘gh’ and ‘ch’ from the French. You will notice that we have borrowed many words from the French language and our spelling follows the French spelling but our pronunciation is different. Take the word ‘centre’ which has the same meaning in French and English but is pronounced ‘center’ as demonstrated through the American English spelling. English is also influenced by Anglo-Saxons which gives the English, Germanic roots. In addition, English also has traces of Latin because there was a time in England when Latin was widely spoken in high-society, as it was the language of the Vatican. English, on the other hand, at that particular point in history became a peasant language. 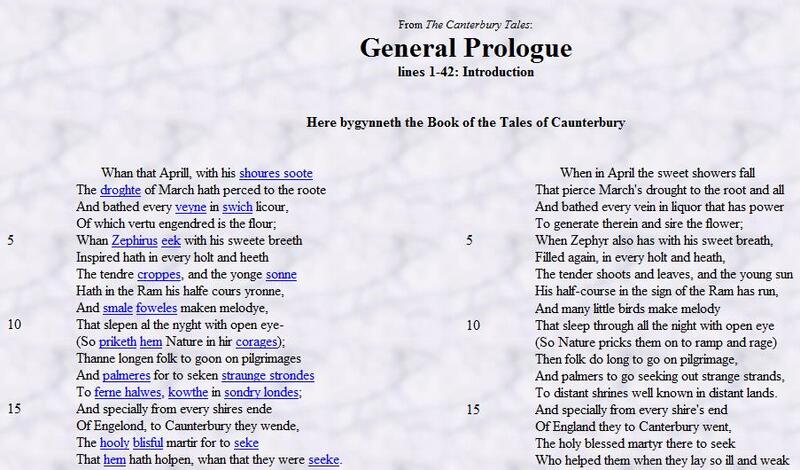 Have a look at the image below, which is a very short extract from The Tales of Canterbury by Chaucer, where you can trace the development of the English language and its sounds and spellings through the Middle English and Modern version of the texts. Note the similarities but also the differences too – They’re huge! With the influence from all those languages, it is no wonder that new characters were introduced into the English language. Where European languages have adopted additional symbols to aid their speakers when pronouncing and writing a work, such as grave and acute accents. In English, suffixes such as ‘sh’, ‘ph’ and ‘th’ have arisen to ‘help’ direct speakers or should we say, confuse them. So what can you do to tackle the spelling blues? Learn from your mistakes: Don’t be shy when it comes to doing your work. It’s very common for language learners to have other better things to do other than sitting at home doing homework or exercises but it’s important that you dedicate some time to your language at home if you’re really serious about mastering it. Every time you are handing back some corrected work, ensure you that spend some time looking over any mistakes and address them with the teacher if you don’t understand them. If you notice any spelling mistakes, write them down in a ‘Spelling book’ as you will be twice as likely to remember the correct spelling. Spell-Cover-Write-Check: This is a technique that many primary school teachers use to help teach children how to spell in England. Don’t be embarrassed by using this technique to help improve your spelling because it really does work. Do this with every word that goes into your Spelling Book. An effective way of learning is, after all, through continuous use. 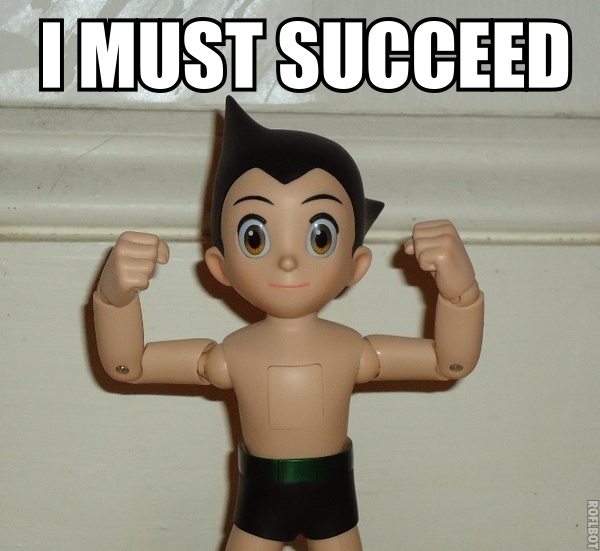 Motivation: Success in anything always comes back to this. As mentioned in the last blog post, in order to succeed you must have motivation to push you towards your end goal. Many English language learners find reading boring or even unnecessary. Many say that reading is their strength in the language compared to other skills but what they do not realise is that every skill is intrinsically linked to one another. You cannot disregard one skill without disregarding the rest. In fact, a real interest in reading is essential if you want to master your spelling and widen your vocabulary. There is no success with any hard work. By worldchoiceeducation in Uncategorized on October 8, 2015 .